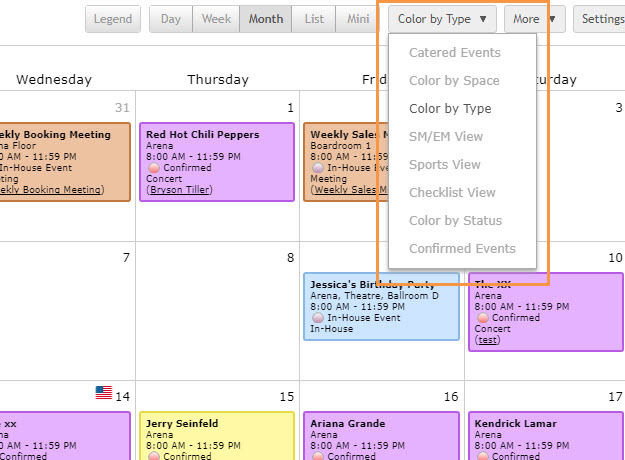 Color coding your calendar is a great way to easily see what's happening in your building. 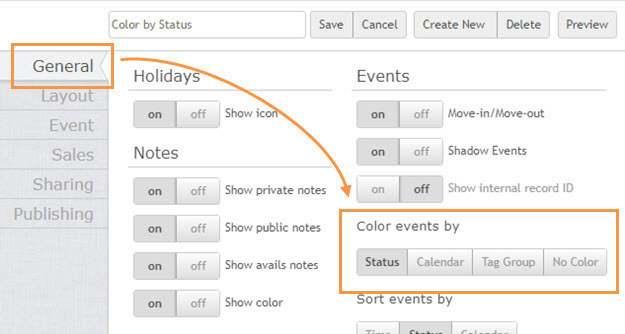 By default your calendar is colored by event status, but you can easily create custom profiles to color by where events are happening (by venue or space) or by the event type (or other tag group). Click Settings in the upper right corner of your calendar. In the menu on the left, select General. 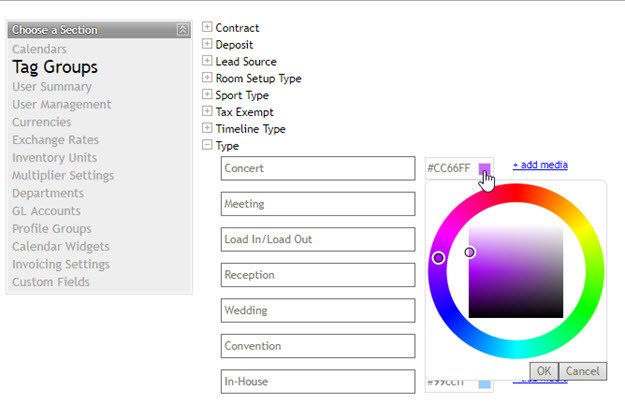 In the right column, you will see the Color events by option. 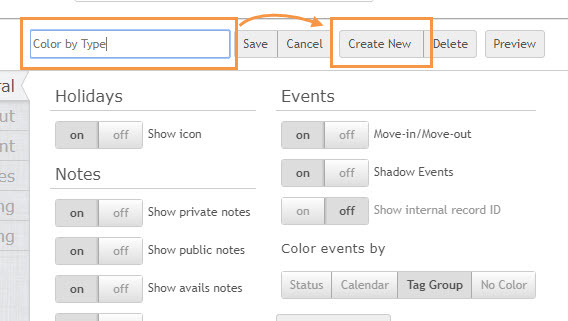 Select the option you prefer, Calendar or for Event Type select Tag Group. To color by Event Type, be sure to choose Type from the drop down menu. Enter the name of your new view and click Create New. Your new profile will be saved. To switch between profiles, click the drop down in the upper right of the calendar. You may create as many views as you wish! If you are the admin on your account, you are able to add and update colors in Company Settings. Hover over your name in the upper right corner and click on Company Settings. Select Calendars from the menu on the left. You'll see a list of your spaces with the colors assigned. Click on the color block to bring up a color picker, or you can type a color's hex code into the color field. If you'd like assistance picking coordinating colors, this site can be helpful. We are also happy to set these colors for you! 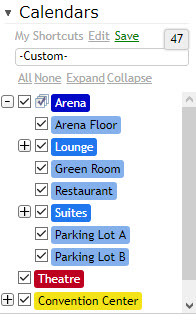 When EventBooking creates your event types or other tags, we assign a color to each one. As Admin, you can update those colors yourself via Company Settings. Hover over your name in the upper right corner and click Company Settings. Click the plus by the group which you would like to color to expand it. You'll see a list of your tags and each tag's color.